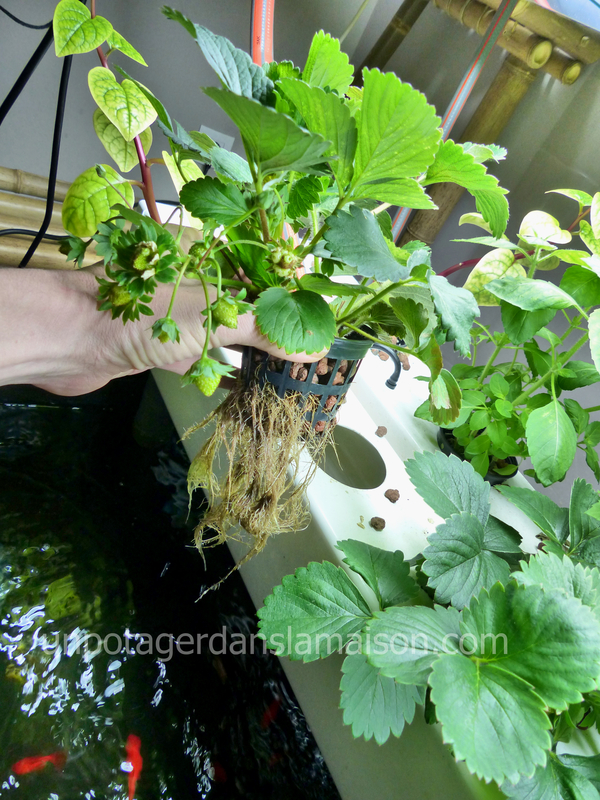 Today I introduce you to our aquaponic system! 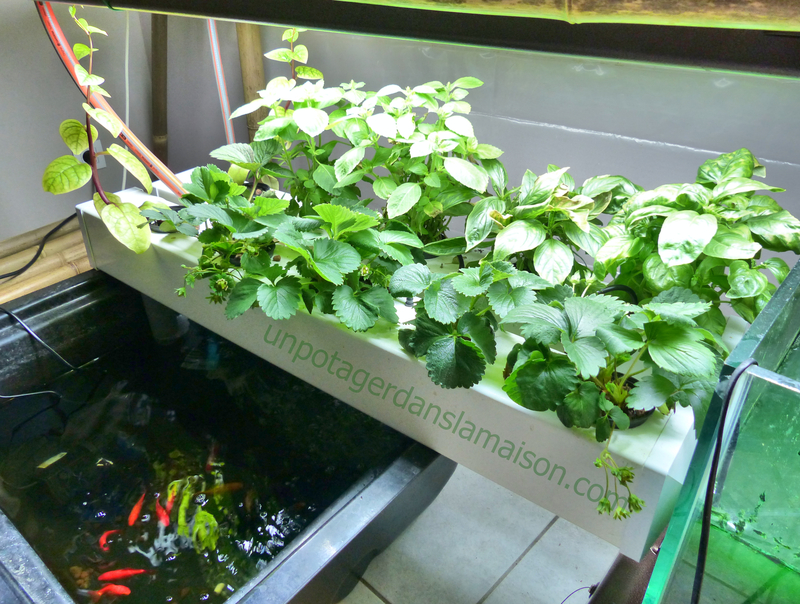 Aquaponics is a growing tecnique that combines raising fish and hydroponic plant cultivation. Micro-organisms are a key element to the proper running of such a system, it is essential to provide them a biofilter large enough so they can thrive. A pump draws the water from the tank to the filter where it is distributed by the black hose you see on the clay pellets. In the hose there are several 4 mm holes so the water is evenly distributed. After flowing through the pellets, the water returns to the tank below. The clay pellets, constantly irrigated, make a perfect home for the micro-organisms. 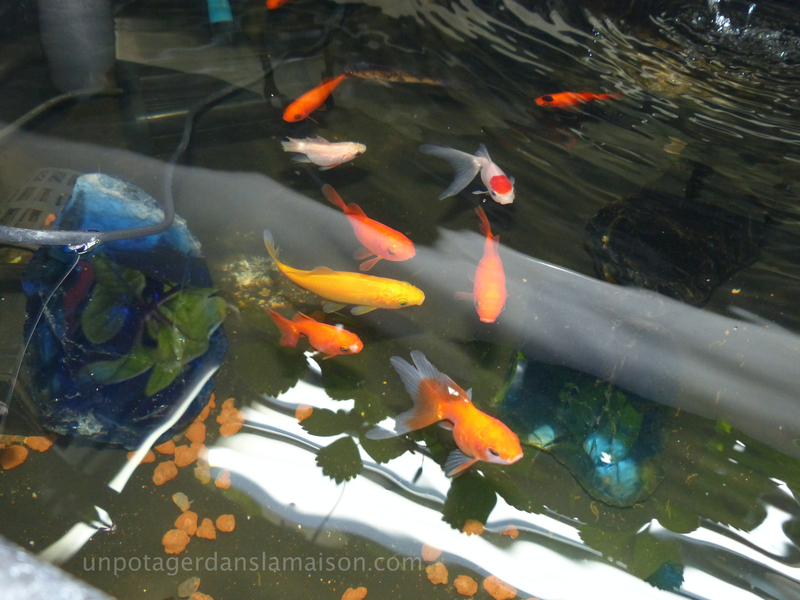 When getting back to the tank, the water drains, contributing to the system oxygenation. Apart from few ones growing in the filter, most of the plants grow in two Aeroflo chambers placed under four T5 fluorescents bulbs. The water is drawn from the tank and redistributed in the chambers throught a web of 4mm hoses. The injection of the water also provides great oxygenation. I like alot growing plants in this kind of chamber because one can re-arrange, replace easily and closely check the roots. In our system basela rubra, strawberries, thaï, genovese and tulsi basils are growing. Around ten gold fish live in the tank which is oxygenated by all water source movements. I added a pump to provide fun and exercice to the fishes. 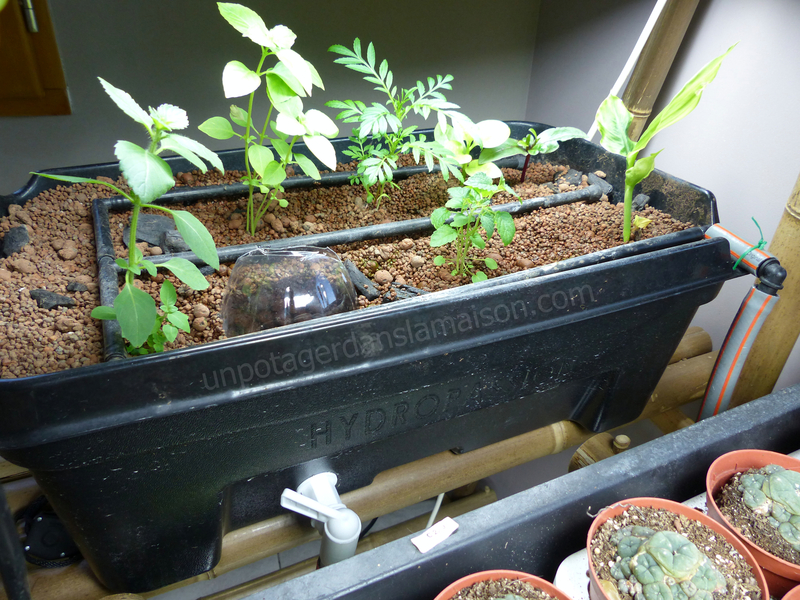 Once the system is properly settled and sized, aquaponics is easy to operate. It is organic, except from fish food, I only add pH regulator and iron chelates. That is a excellent looking setup. The combination of NFT and media bed looks like an intelligent design. 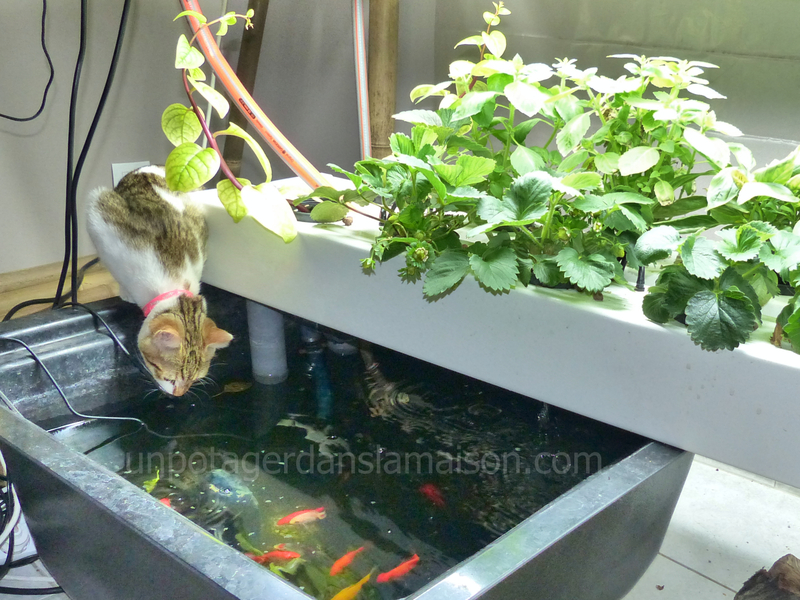 Your cat looks like it is enjoying aquaponics as well. The system has stability of media bed and versatility of NFT. The strawberry plants are now loaded with ripe fruits. I recently changed the bed for a 1O sq feet one and added a vertical unit of the same size.